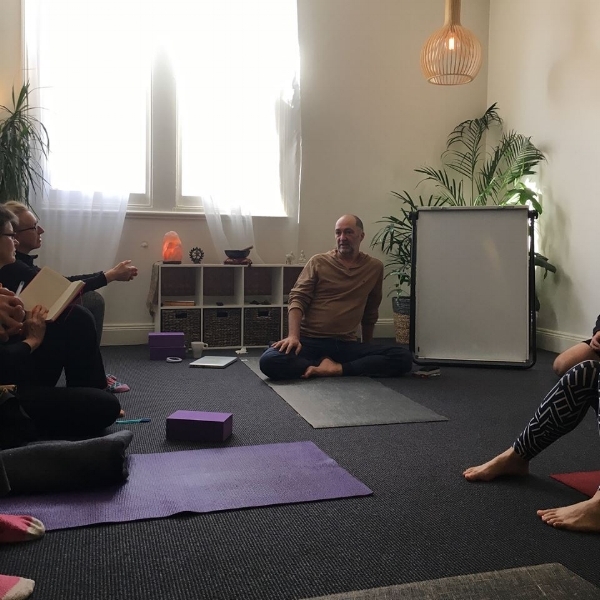 Paul Wooden will be back in Bendigo for this one day workshop focusing on the relationship between prana and asana and prana and pranayama. Prana is a Sanskrit term for energy, life energy. This workshop will be an experiential journey towards a deeper appreciation of and sensitivity to energetic life. In our bodies, our hearts and our minds. The study and practice of pranayama points us towards a process orientated relationship with life. Cultivating a relationship with pranayama is cultivating a relationship with the living current of life itself. It is a profoundly intimate affair. Pranayama is a way of opening ourselves to the nourishing intelligence of life. The morning session, UNDERSTANDING ASANA, will include a Dharma talk, Asana, Pranayama and Meditation. Asana is an intimate relational invitation. A way of uncovering the innate natural energetic dynamics of the body. With Prana as guide, we will explore ways to inhabit the body, find ground and align with life. Prana is accessed through feeling and the practice of pranayama expands our capacity for feeling. The responsiveness of feeling is the guiding intelligence in the practice of pranayama. It requires us to be profoundly available for the moment to moment unfolding of life.